The pure detective story or police procedural has an odd structure: the central character is essentially peripheral to the story. 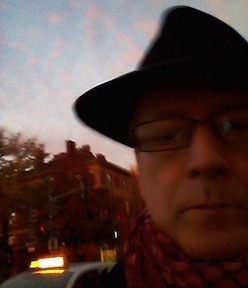 He/she is an observer and investigator, but the prime mover of the story and the prime event (the murder and murderer, or for that matter the murderee) are elsewhere. From the beginning of the genre, though, the detective or cop has gotten involved, frequently getting beaten up or threatened, sometimes taking his/her own violent action, and very often the detective's personal life is an element of the narrative. But when the detective's personal life becomes a major center of the story, the novel veers into the realm of the thriller, wherein the main or series character is central, rather than peripheral. 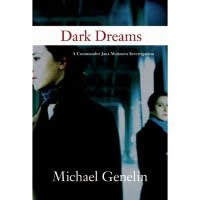 Michael Genelin's Dark Dreams, the 2nd in his Commander Jana Matinova series about a Bratislava cop, is for that reason more of a thriller than a detective story, as was the first book in the series--that's not a criticism, it's simply a characterization, a signpost to readers to let them know what sort of book (and series) this is. That said, Dark Dreams has a lot to recommend it. For one thing, there are a lot of substantial women characters beyond Jana herself, on all sides of the various conspiracies and crimes that make up the story. Genelin also offers an atmospheric and detailed portrait of a struggling democracy in today's Eastern Europe. The plot is unconventional: it has a realism that refuses to bow to the conventions of the crime novel, in that there are a lot of characters (and a lot of villains), moving in a lot of directions, across a considerable geography (from Nepal to Vienna), with substantial political/social insights, and the story moves unpredictably without following all the threads to any expected conclusion (though readers will have figured out some things long before the cops do). The result is absorbing and always interesting, without quite reaching a conclusive, cathartic climax (though many of the threads of the conspiracies are indeed resolved). Certainly interesting enough that I'll be watching for the next installment in the series. This sounds really interesting, Glenn. I think I must read one of this series. Do you know what the first title is, and if it is available? Not much seems to be availale over here, via Amazon UK. Maxine: The first one was called Siren of the Waters, and both were published over here by Soho Press. There's a tragic story about the main character's private life that gets going in the first volume and carries over in the 2nd, and except for the beginning chapter, the point of view is always hers. So the story is very focused on Commander Matinova, both professionally and personally, despite the international intrigues in both novels. Thanks, Glenn. I don't know if you noticed, but Siren of the Waters was reviewed on Sunday (yesterday) at Euro Crime, by Norman of Crime Scraps. A happy coincidence! I'll definitely put these on my list. Have just discovered Deon Meyer (Blood Safari) -wow!! Brilliant. (very Peter Temple).